ContentPage.Content, do I need it? 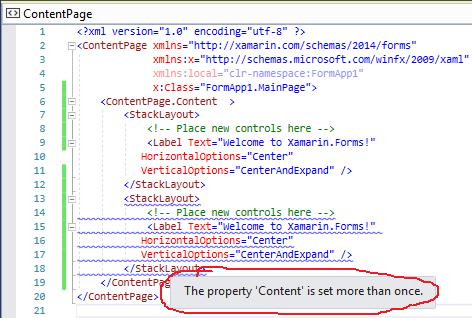 I noticed when creating a new XAML page, the default includes <ContentPage.Content>. Do I need this? 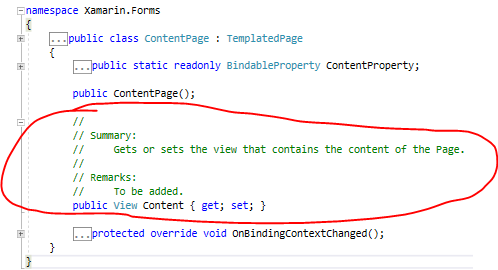 According to the docs, the Content property "Gets or sets the view that contains the content of the Page." My page works fine without it, I just don't understand it's use. Is the default for a ContentPage Content? Any insight would be appreciated. The ContentPage.Content always exists by default, even if you don't add it. First , when we check into ContentPage, we will find the Content is a Property of ContentPage. 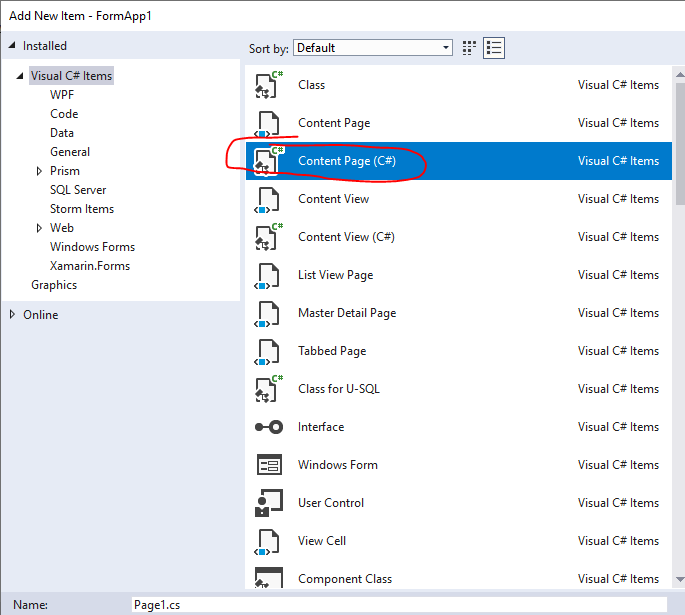 if we delete the <ContentPage.Content > and </ContentPage.Content>, the effect is the same, but the Content Property still exists by default. we will find the error information: The property Content is set more that once. , so the ContentPage.Content is only one by default.